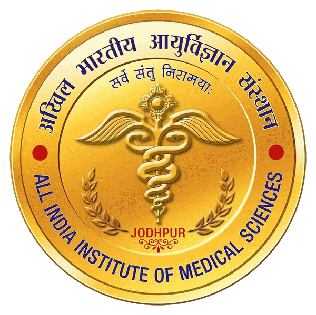 AIIMS JODHPUR Recruitment: All India Institute of Medical Sciences, Jodhpur (Rajasthan) invites ONLINE APPLICATIONS for the various posts (Lower Division Clerk, Upper Division Clerk and Data Entry Operator) on DIRECT RECRUITMENT BASIS. (i) Degree from a recognized University or equivalent. (i) 12th Class or equivalent qualification. Questions will be Objective Type Multiple Choice, Set in both Hindi and English in respect of Parts A, B & C.
Note: There will be negative marking of 0.25 marks for each wrong answer. General Intelligence It would include questions of both verbal and non-verbal type. The test will include questions on Semantic Analogy, Symbolic operations, Symbolic/Number Analogy, Trends, Figural Analogy, Space Orientation ,Semantic Classification, Venn Diagrams, Symbolic/Number Classification, Drawing inferences, Figural Classification ,Punched hole/pattern-folding & unfolding , Semantic Series, Figural Pattern–folding and completion, Number Series, Embedded figures, Figural Series, Critical Thinking, Problem Solving, Emotional Intelligence, Word Building, Social Intelligence, Coding and de- coding, Other sub-topics, if any Numerical operations. General Awareness Questions are designed to test the candidate’s general awareness of the environment around him and its application to society. Questions are also designed to test knowledge of current events and of such matters of everyday observation and experience in their scientific aspect as may be expected of an educated person. The test will also include questions relating to India and its neighboring countries especially 10 pertaining to History, Culture, Geography, Economic Scene, General policy and scientific research. Number Systems: Computation of Whole Number, Decimal & Fractions, Relationship between numbers. Trigonometry: Trigonometry, Trigonometric ratios, Complementary angles, Height and distances (simple problems only) Standard Identities like sin20 + Cos20=1 etc. Statistical Charts : Use of Tables and Graphs: Histogram, Frequency polygon, Bar- diagram, Pie-chart. English Language Spot the Error, Fill in the Blanks, Synonyms/Homonyms, Antonyms, Spellings/ Detecting Mis-spelt words, Idioms & Phrases, One word substitution, Improvement of Sentences, Active/Passive Voice of Verbs, Conversion into Direct/Indirect narration, Shuffling of Sentence parts, Shuffling of Sentences in a passage, Cloze Passage, Comprehension Passage.